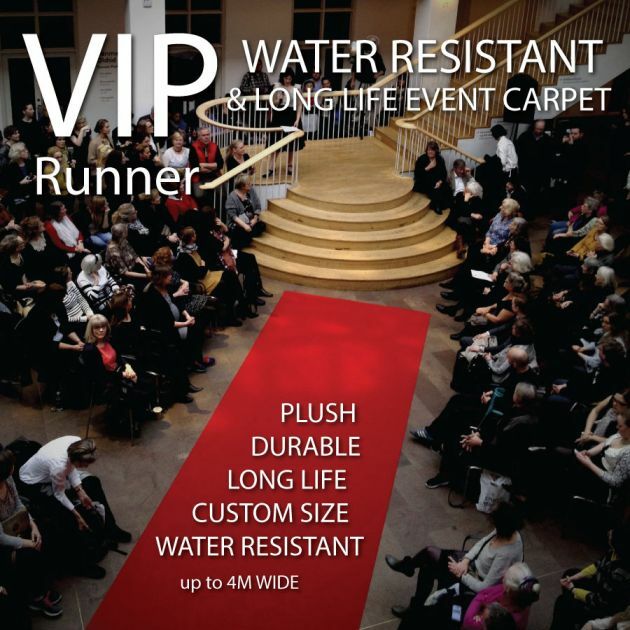 Custom water resistant red carpet ceremonial runner. Custom red carpet for VIP events and regular usage. Water resistant and fast drain/drying for regular event use for weddings and movie premiers etc. Call for details and options. This is a longer lasting event carpet for regular use. Pile is quicker drying than most and does not soak into the filaments. 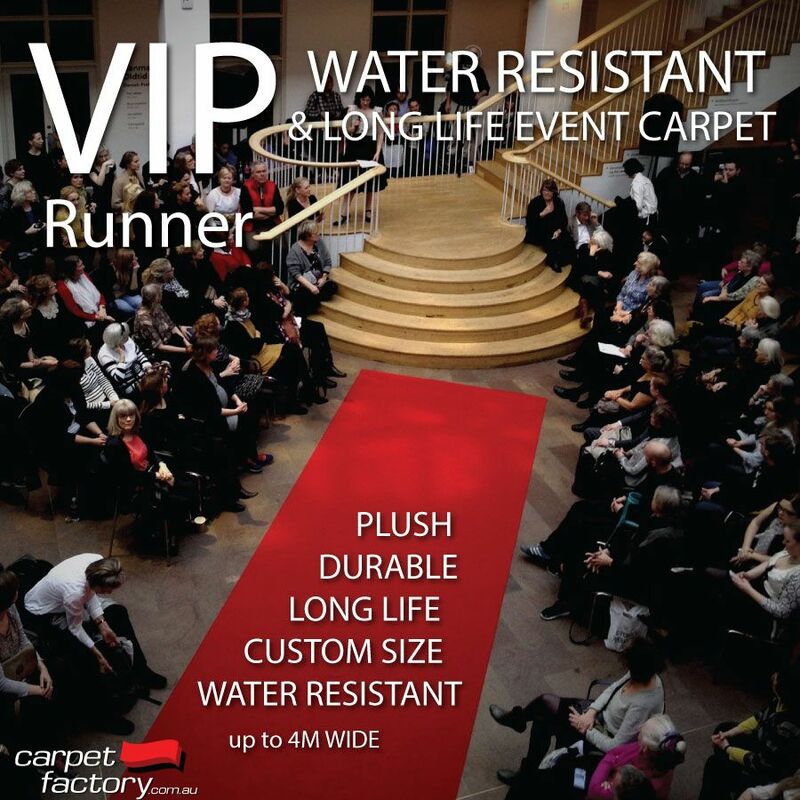 Popular for VIP and regular use venues that want a longer lasting red carpet for multiple events.